Photo courtesy of Robbie & Robert Bailey of Bailey Photography. Information courtesy of Phil White, Memphremagog Winter Swim Festival, Lake Memphremagog, Vermont. 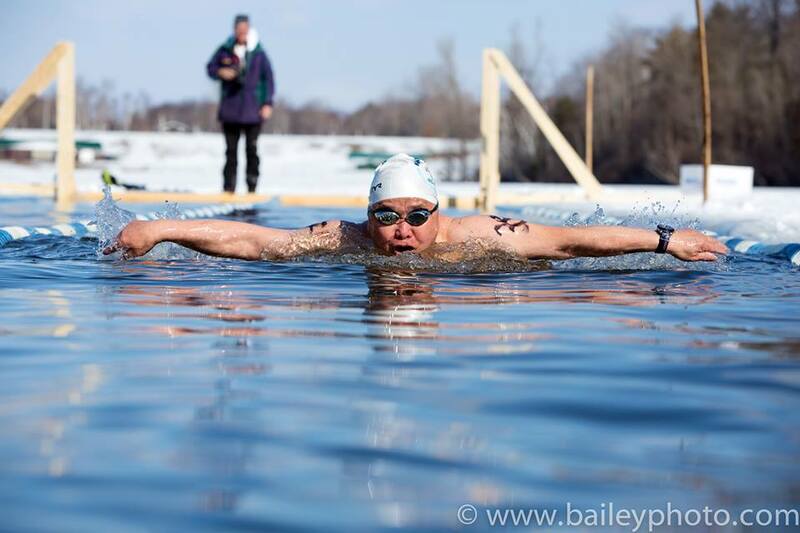 76-year-old Barnabus Zeng from Fresh Meadow, New York was awarded Ice Tongs for being the most mature member of the Memphremagog Winter Swimming Society as the oldest swimmer at the 2016 Memphremagog Winter Swim Festival. He swam the 25m butterfly in 31.5ºF (-0.2ºC) water with air temperature in the mid 20ºFs.